Boston Dynamics' super robot Atlas is back. And, this time it's not just strolling or doing backflips, but also leaping over obstacles like a real commando. 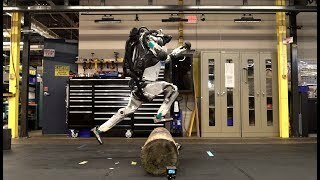 For the uninitiated, Atlas is a freakishly talented humanoid made by Boston Dynamics, a SoftBank-owned robotics company. It has got a pair of hands, legs and is as real as it can get. The US defence research agency is seeking designs for tiny robots to compete in Olympic-style evaluations, in an effort to develop machines that can be deployed for search and rescue operation in locations that are dangerous or inaccessible to humans. Under a new programme proposed by the Defense-Advanced-Research-Projects-Agency in the US, the bots will compete against each other to test strength, speed and agility.